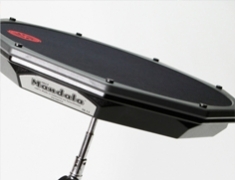 The Mandala mk2.9 is an HD position sensitive MIDI instrument ideal for controlling music production software live or in the studio. 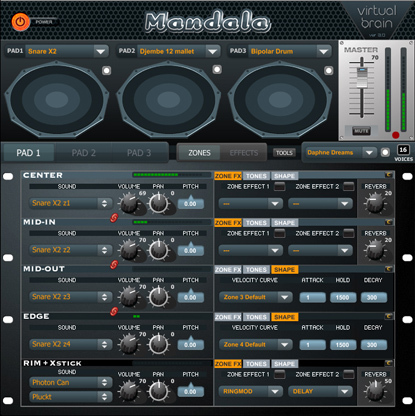 Included with the Mandala is the Virtual Brain v3 software containing high definition multi-layered position samples of 600 instruments and a slew of professional effects, all of which highlight the Mandala’s patented surface position features. 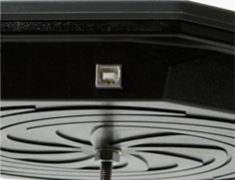 Just plug the pad into a USB port and you’re on your way! 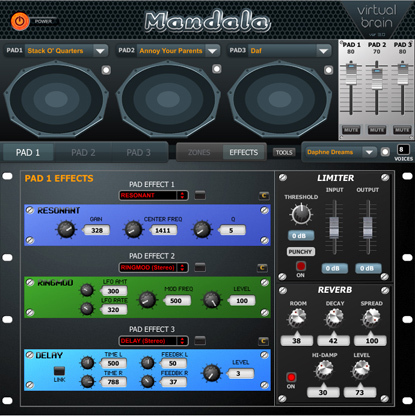 As a sound trigger the Mandala is compatible with most third party music production software packages. Produce, edit and share your own unique sounds and beats or just bang away while taking your drumming experience to a whole new level. There’s no limit to the number of Mandalas you can add to your kit. 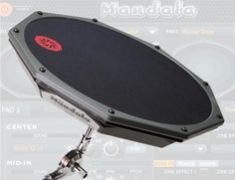 The Mandala patented POSITION SENSOR not only allows the Mandala strike surface to sound like an acoustic snare from the center to the edge, it actually allows the Mandala to be any drum you ever imagined at the click of a mouse. Assign it up to six zones and you have a whole drum, a whole kit, or a whole band in one pad. 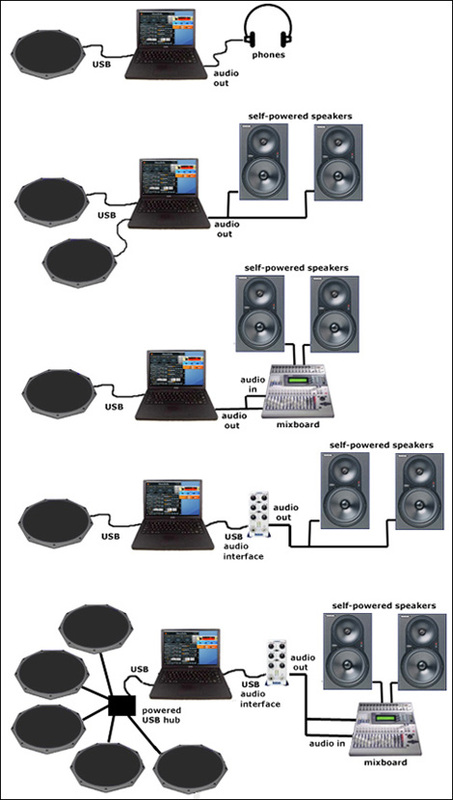 Then use all 128 controller zones to add an effects matrix to your entire surface. All this and more is available as simple easy to use drop down menus. 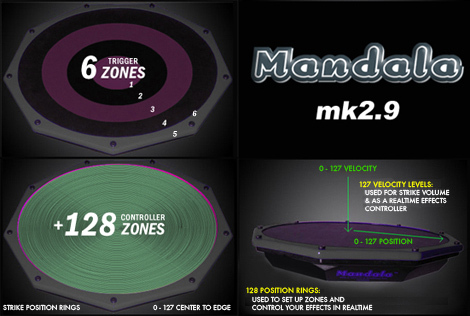 The Mandala is the smartest thing you'll ever hit with a stick! Mandala knows WHERE you hit it. Roland doesn't have it. Yamaha doesn't have it. Add Mandalas to your kit and hear the difference! For Aspiring Musicians – Find your creativity! For Pro Drummers – Add depth to your acoustic sound! 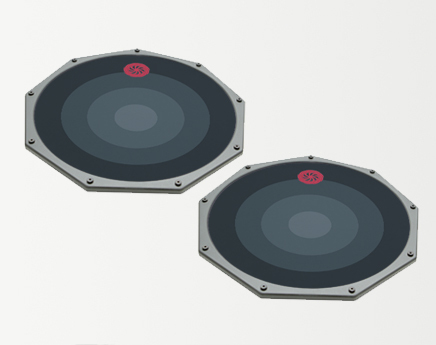 For Dj's – Add more flair to your set! Play along with your set adding percussion, fx, whatever!